Yousuf Karsh portraits are all black and white but never is it to much black or to much white. Most of his portraits all have a very simple background so he never has to much to work with and never over power the subject. Most of the images seem to have a feeling of hope, power, and happiness. Which could explain why he uses three-quarter views, which can be used to show those emotions just right. Some of his images have 3 point and 2 point lighting, very few have butterfly light but most use rembrandt, short and broad light, but a lot of his subject look very professional. Nadav Kander is a bit more wild with some of his pictures, it has more going on in some of them with a lot more colors. In some of the portraits he uses light and shadows as a way to outline the subject and he also doesn’t hide the subjects shadow, he embraces it to be apart of the background. He also using a lot of the three-quarter view as well as something close to silhouettes on the subjects faces and bodies which doesn’t seem to over power the portrait and gives it a unique and colorful look with keeping a sense of seriousness and importance on the subjects face. The Martin Luther King Jr. portrait is one that i enjoy and its example of Karshs work to where it shows hope, strength, and power through a three-quarter view with a simple background where the light separates the subject from the background with 3 point lighting. 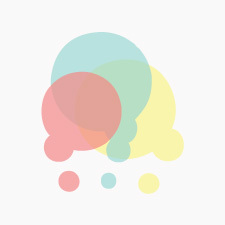 The other is one I like from Kanders is the example where he uses one color with different shades of that one color and places an image over the subject, where the person is still the strongest focus. On the next assignment I hope to use the three-quarter view more often and get the subject to show different emotions while looking away from the camera with or without any distractions being needed. This entry was posted in Uncategorized on February 11, 2019 by Angel Diaz. Remember when Karsh was shooting, b/w was the norm. color film existed by it was n’t used much. 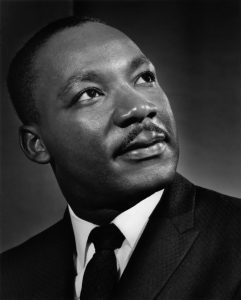 the portrait of MLK that you picked out uses so many of the things we have talked about in class: its short light, there is a background light creating a perfect slight glow around his shoulders, he looks up and away from the camera. 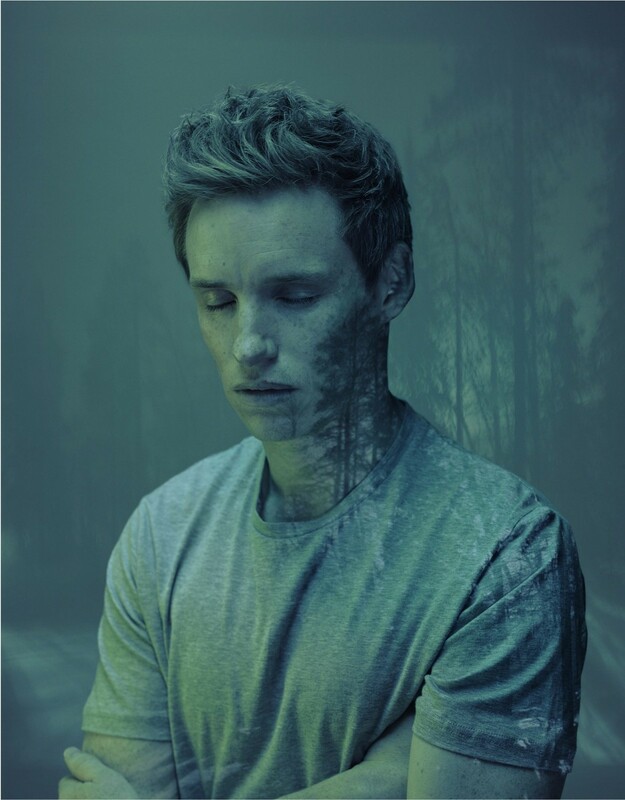 In the Kandar photo of Eddie Redmayne, he uses a projection. It is a beautiful look.